It’s the best of times and the worst of times in Los Angeles. Though the Bay Area gets the headlines, the LA region likes to boast it’s coming on strong in tech. With a diverse set of marquee names including Snapchat, Tinder, Oculus, and SpaceX, LA’s startup scene continues to grow. But tech growth overall has been middling, ranking 28th out of the country’s sixty-six largest region in information job growth, according to a recent Forbes survey. More disturbing, job growth has also been slow, ranking 35th overall, at a time when it’s long time rivals in the Bay Area occupy the top job and tech rankings. Some of this reflects the loss of a key industry, aerospace, but also the departure of major corporations such as Lockheed, Northrup Grumman, Occidental Petroleum, and Toyota, which has left LA’s once vaunted corporate community but is a shell of its former self. Yet LA’s glitz factor remains potent. The fashion industry has gained considerable recognition. Tom Ford set up shop and brought his runway show to the city. Locally grown brands like Rodarte have a major following. LA also is increasingly a global center of gravity in the art world. Yet behind the glitz, in the city of Los Angeles, aging water mains regularly erupt and the streets and sidewalks decay, with the city’s own report estimating it has an $8.1 billion infrastructure repair backlog. One report chronicles the flight of cash-strapped New York creatives fleeing to sunny, liberating, and less expensive LA. Another how high prices and the Southern California grind are sending those same creatives packing. What we are witnessing is LA changing in the context of the two tier world ---divided between rich and poor --- that we live in. This has been made worse by a city that has excessively focused on glamour at the expense of broad based opportunity creation. Los Angeles may be a creative capital and a great place to live as a creative worker, but it was always much more than that. It was also a great place to build the middle class American Dream or run a business that employed people at scale. For example, it was and still today remains the largest manufacturing center in the United States. Yet it has lost half of its manufacturing job base since 1990. That’s over half a million manufacturing jobs lost in the region since then, with over 300,000 of those just since 2000. Unlike Detroit, Houston, Nashville and even Portland, the region has not benefited at all from the resurgence of US manufacturing since 2009. Manufacturing decline, of course, is hardly unique to LA, but the city’s problems are particularly acute because region is so huge and diverse, being both the second largest metro area in the country, and the most diverse major region in America. LA has a higher share of Hispanic population than any major metro apart from San Antonio – one twice as high as the Bay Area. The LA/Inland Empire’s 8.4 million Hispanics would by themselves be the fourth largest metro area in the country, and are more than the total number of people living in the Bay Area. The area also has over a million black residents. With their heavily well-educated populations the Bay Area and Boston can perhaps get away with operating as sort of luxury boutiques for upscale whites and Asians, however dubious a decision that may be. Not so LA. The problem is that LA and California more broadly have adopted the luxury boutique mindset. Policies are made in ways that favor the glamorous industries like Hollywood, high tech, and the arts – industries that don’t employ a lot of aspiring middle class people, particularly Hispanics or blacks. These policies include strongly anti-growth land use and environmental policies designed to produce the kind pristine playgrounds favored by glamour industries and creative elite. But they have rendered the region increasingly unaffordable to all but the highly affluent or those who were lucky enough to buy in long ago. Tech firms and entertainment companies can afford to pay their key workers whatever they need to live in LA. That’s tougher for more workaday businesses. Ditto for business regulations, where many industries don’t have the margins to spend on things like a phalanx of compliance attorneys. Now that high prices are starting to hurt younger hipsters who want to join the creative industries, this is starting to get attention. But if it’s a problem for young, educated Millennials, it’s a disaster for the working class. 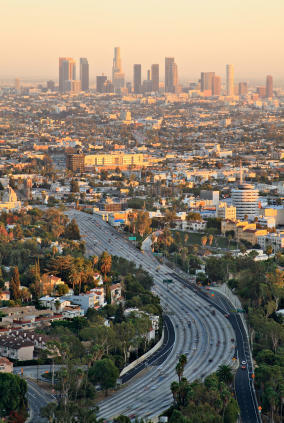 LA does deserve credit for potentially opportunity expanding investments in transit. But if transit can be seen as a potential winner, most political leaders seem more concerned with finding ways to simply attempt to politically reallocate some money to those being squeezed by their policies, all at the expense of growth. The $15 minimum wage is Exhibit A. Like rent control, a high minimum wage benefits a few lucky winners while harming others and making it harder to justify business investment that would create more jobs and entry level opportunities onto the ladder of success, while raising consumer prices. The fact that nearly half of LA’s workers might be covered by the new minimum is a damning testament to the erosion of the region’s middle class job base. The real measure of success for LA is not how many runway shows, startups, and elite rankings it can achieve, but whether it can recover its role as an engine of opportunity for its large and diverse population to achieve their American Dream. Local leaders would be better served looking for policies that will expand opportunity instead of the ones they are following that actually reduce it. Aaron M. Renn is a Senior Fellow at the Manhattan Institute for Policy Research and a Contributing Editor at its magazine City Journal. Submitted by lukelea on Tue, 07/21/2015 - 08:45. Nice article. I've been wondering of late if over the past 40 years California has come to resemble more closely a Latin American country, not in terms of demography, which is obvious, but in terms of income distribution? How has the Gini coefficient changed? And how does it compare with states that have been less swamped by Hispanic immigration? In other words, what is the future of America if mass low-skilled immigration continues indefinitely into the future?